It was October 14, 2016. You stood among the crowd at Desert Trip Festival, tangled up with people screaming. It reminded you of the day before, when people cried aloud for the 2016 Nobel Literature Laureate. When 75-year-old Bob Dylan plays the piano and calls you “my friend” on the stage, you no longer need to wonder how many years we hear him sing before we know the answer to “why not Bob Dylan?” The answer, my friend, is in his songs. Since 1901, the Nobel Prize normally is conferred on drama, prose, poetry and essay writing. Among the 127 literature entries for Nobel Laureates in Literature sorted by genre, prose ranks the top by 77 works, followed by poetry with 22 works, and drama with 14 works. This time, the American rock star was announced to be the 2016 Nobel Literature Laureate, a surprise to some general perceptions about Literature Laureate in history. Swedish Academy announced that Dylan received the prize “for having created new poetic expressions within the great American song tradition.” Dylan’s “poetic expressions” are not less significant than other Nobel Laureates who are praised for their “poetic” language. The surprising difference between Bob Dylan and other Laureates is his achievement in song traditions in America, which reflects the general public’s impression of him as a singer and songwriter. However, what does that really mean? Do lyrics count as literature? Dr. Ray Schulte, a professor of literature in the English Department of Fu Jen University, teaches a class analyzing Bob Dylan’s lyrics as poetry. Even before the announcement, he said the phrase, “poetic expressions,” is “ambiguous.” As the adjective refers to poems or qualities related to poetry, which is often not easy to be understood, interpreted, or explained by simple, direct or single statements, Dylan’s songs could be read by the Academy to be deep and diverse over the years. “Dylan’s work, in some ways, is visionary,” said Dr. Schulte. “He tends to write about bigger pictures.” These expressions often have many interpretations, of which many are still relevant now—a quality that is not uncommon in other classic works of literature. Moreover, in school year of 2016, one of Dr. Schulte’s graduate students analyzed Dylan’s “Desolation Row” from Highway 61 in a 120-page thesis. Dylan, he suggests, takes the old “musical and literary form of ballads” before the medieval ages and combines modernist literary techniques, “developed by Picasso in the arts and T. S. Eliot among poets,” as well as poetic strategies, like collage and dilution, and represents what happened in American society in 1965 in this one song. For Dylan’s song to convey so much, the techniques and literary messages might not be recognized if we “read” the song just once. “He’s incorporating this a-thousand-year history into songs,” noted Dr. Schulte. “Off the top of my head, I would bet that Shakespeare and Dylan are the two writers who have the most words and phrases that have entered into regular usage.” He also added that the students that were “playfully critical” of him viewing Dylan’s songs as poetry actually later found one of Dylan’s songs that he chose for the class “challenging” to interpret. Dylan being the 2016 Nobel Literature Laureate is indeed unconventional and unexpected. Yet, it is time for a new branch of the laurel tree. If Dylan’s songs are viewed as important and good as Shakespeare’s plays as literature, maybe it is time to make the definition of literature open to negotiation. 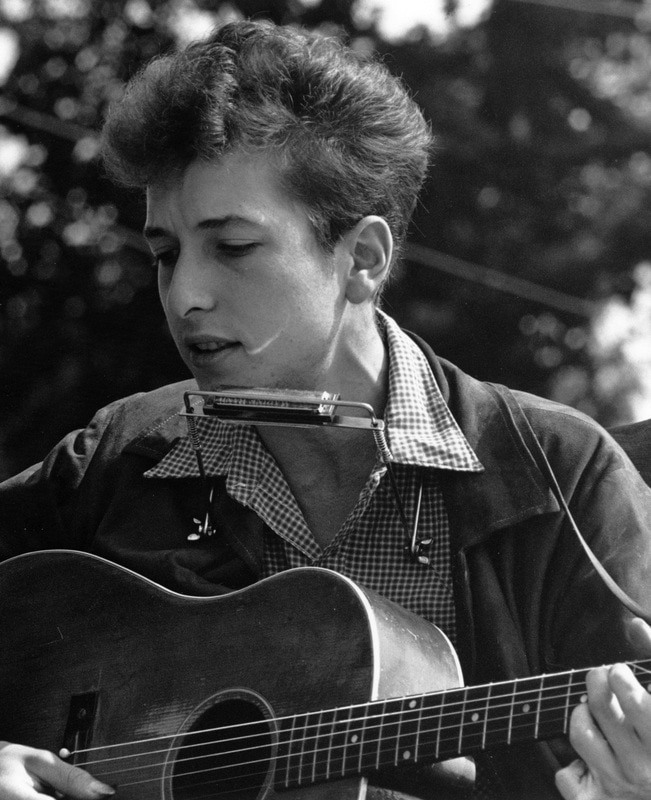 “The Nobel Prize has given a type of legitimacy to studying Dylan’s songs academically,” Dr. Schulte remarked. As the olive tree starts to sprout a new branch, the Academy could produce more literature buds before any new announcements. Remember, even Shakespeare was a part of the popular culture of his time. FYI: The English Department of Fu Jen University offers a graduate class only about Bob Dylan. Dr. Schulte said, “We may be the only graduate school that does.” If you are interested, keep an eye on our department schedule.